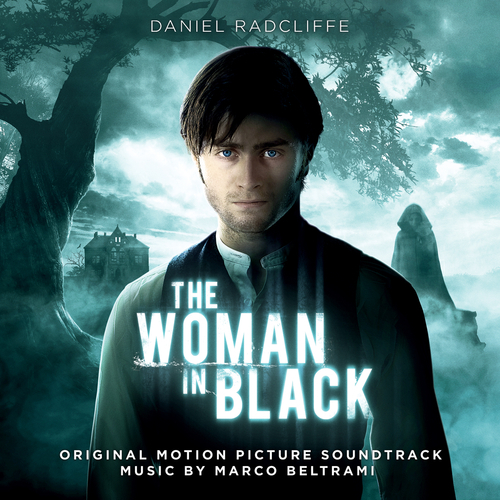 The Woman In Black is a theatrical phenomenon which has run continuously in London’s West End for twenty-three years and has subsequently become a worldwide hit. This chilling Victorian ghost story based on the bestseller by Susan Hill has been long awaited as a cinema release and stars Daniel Radcliffe (Harry Potter) and Ciaran Hinds (Tinker Tailor Soldier Spy). Marco Beltrami’s scoring career extends across close to 20 years and his CV is highlighted by some of the major screen hits of the last two decades. His work includes the Scream franchise, Resident Evil, I-Robot, Terminator 3: Rise Of The Machines, Mesrine – Public Enemy No. 1 and Repo Men. He has received Academy Award nominations for 3:10 To Yuma and The Hurt Locker and won The Satellite Award last year for Soul Surfer. Marco Beltrami scored his first big film in 1996 with Wes Craven's Scream, since then he has been commissioned to several works in the thriller and horror genre. Beltrami’s take on this 2012 film adaption from the horror fiction novel by Susan Hill is full of menacing-alike hints, nods and winks. The plot follows with Arthur Kipps, a decadent solicitor full of personal and financial problems, dealing with a estate aftermath-scenari, having sinister and sombre views of a so-called “Woman In Black”. Beltrami's work on this needs to be praised for having a very vintage aesthetic subtleties, he either consciously or unconsciously made the whole score sound more warm-ish towards the Edwardian era rather than from a 21st century historical film, which are obviously two completely different things. Highlighting some plot points, Kipps is haunted by supernatural visions and experiences, the overall mood is that dark also, in a way that if you listen in a dark room you may want to check the surrounding area looking over your shoulder. Plus, there is also a very romantic feel and not the soap opera-alike romantic thing here, but the actual Romantic Movement from the 18th century. Coincidental or not the Edwardian era and the Romanticism in Music are contemporaries giving or taking a few years. Clearly Beltrami did his homework. Pieces like "In The Graveyard", "First Death" and "The Woman In Black" are chilling and fearsome, whilst "Elisabeth's Vision" has a fading-alike and mysterious feeling at first but dynamically changes to an ethereal-crystalline threatening piece. Overall, this soundtrack tends to grow in you as you listen more and more and pick up the right subtle clues that were left by Marco Beltrami, there are moments of almost silent, there are hectic moments, sombre moments, fearsome moments, a complete multitude of sound arrays so deep that will not be able to get just by a one-time listen.